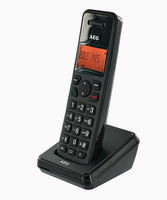 AEG DECT Phone EOLE 1400, Black, Handsfree/Speakerphone, caller ID, Alarm function, polyphonic mellodies, 30 contacts, 300m range	1.099,00 ден. Telefunken TLF 5001 Wireless DECT telephone, Big LCD display, Speakerphone, Talkie walkie function	1.199,00 ден. 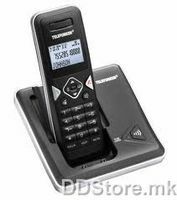 Telefunken DECT Phone PEPS TB 201 Black, Black, Handsfree/Speakerphone, caller ID, Alarm function, 50 contacts, 300m range	1.399,00 ден. Telefunken DECT Phone PEPS TB 201 Orange, Handsfree/Speakerphone, caller ID, Alarm function, 50 contacts, 300m range	1.399,00 ден. 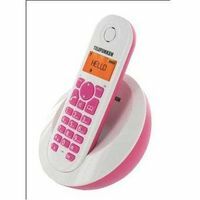 Telefunken DECT Phone PEPS TB 201 Rose, Handsfree/Speakerphone, caller ID, Alarm function, 50 contacts, 300m range	1.399,00 ден. 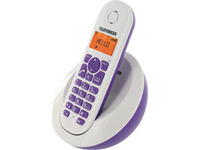 Telefunken DECT Phone PEPS TB 201 Violet, Handsfree/Speakerphone, caller ID, Alarm function, 50 contacts, 300m range	1.399,00 ден. 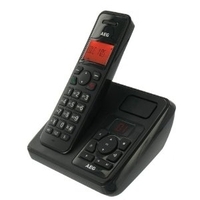 AEG DECT Phone EOLE 1405 with answering machine, Black, LED Display, Handsfree/Speakerphone, caller ID, Alarm function, polyphonic mellodies, 30 contacts, 300m range	1.499,00 ден.